Sylvia Allegretto is a labor economist and co-chair of the Center on Wage and Employment Dynamics at the University of California, Berkeley. CWED is a research center housed at the Institute for Researcher on Labor and Employment. Dr. Allegretto received her Ph. D. in economics from the University of Colorado, Boulder and worked for several years at the Economic Policy Institute in Washington DC where she is currently a research associate. 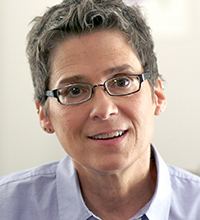 Allegretto co-authored several editions of The State of Working America and she most recently authored The State of Working America’s Wealth, 2011. Research interests include long-term unemployment, family budgets, teacher pay, public employee compensation, low-wage labor markets, inequality, minimum wages and sub-minimum wages received by tipped workers. Sylvia closely tracks a myriad of economic statistics with particular interest in the labor market and how typical workers are faring. She is often called upon by media outlets to provide commentary and contextualize economic data and trends.